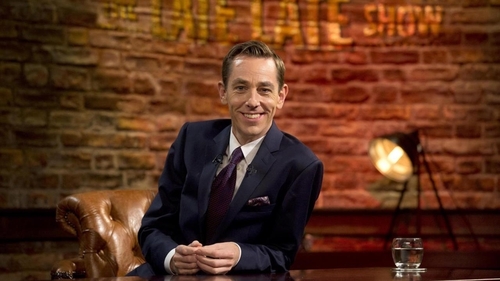 Singer-songwriter Hozier will be sharing his new album and broadcaster Tom Dunne will be talking about his recent life-saving surgery when they join host Ryan Tubridy on Friday night's Late Late Show on RTÉ One. Ahead of the release of his new album Wasteland, Baby! in March, Hozier will be giving fans a flavour of the record and talking about success. Tom Dunne will discuss how he learned in November that he needed life-saving surgery after a routine heart check-up. His recovery has seen him having to learn how to walk again. Dancing with the Stars' Fred Cooke, Darren Kennedy, Clelia Murphy and Mairéad Ronan will be telling Ryan Tubridy about how they are finding Sunday nights on the dancefloor, with Kennedy also talking about his ambition to dance with one of the male professionals on the show. Fitness star Joe Wicks will discuss why he is moving away from meat and adding more vegetables to his diet, and will also try to win "some of Ireland's most hardened carnivores" over with vegan meals. Photographers Alan Lewis and Crispin Rodwell will discuss their work during the Troubles, which will feature in the upcoming RTÉ documentary Shooting the Darkness. There will also be more music on the night from Wild Youth. For more television news, click here.